MS Radio 038 – Out Now on Soundcloud! Minimal Sessions Radio 038 – Mixed by Munfell is now available on Soundcloud! Download is enabled for those that prefer to listen in 320kps. You can listen to ALL previous episodes of our radio show by clicking here. MS Radio 037 – Out Now on Soundcloud! 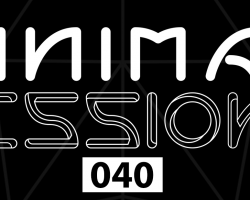 Minimal Sessions Radio 037 – Mixed by Shmitty & Tyler Rouse is now available on Soundcloud! Download is enabled for those that prefer to listen in 320kps. You can listen to ALL previous episodes of our radio show by clicking here. MS Radio 036 – Out Now on Soundcloud! Minimal Sessions Radio 036 – Mixed by Adellacosta is now available on Soundcloud! Download is enabled for those that prefer to listen in 320kps. You can listen to ALL previous episodes of our radio show by clicking here. MS Radio 035 – Out Now on Soundcloud! Minimal Sessions Radio 035 – Mixed by Munfell is now available on Soundcloud! Download is enabled for those that prefer to listen in 320kps. You can listen to ALL previous episodes of our radio show by clicking here. MS Radio 034 – Out Now on Soundcloud! Minimal Sessions Radio 034 – Mixed by Stephen Disario is now available on Soundcloud! Download is enabled for those that prefer to listen in 320kps. You can listen to ALL previous episodes of our radio show by clicking here. MS Radio 033 – Out Now on Soundcloud! Minimal Sessions Radio 033 – Mixed by Josh Sturges is now available on Soundcloud! Download is enabled for those that prefer to listen in 320kps. You can listen to ALL previous episodes of our radio show by clicking here. MS Radio 032 – Out Now on Soundcloud! Minimal Sessions Radio 032 – Mixed by Tyler Rouse is now available on Soundcloud! Download is enabled for those that prefer to listen in 320kps. You can listen to ALL previous episodes of our radio show by clicking here. MS Radio 031 – Out Now on Soundcloud! Minimal Sessions Radio 031 – Mixed by Chaka & Marty is now available on Soundcloud! Download is enabled for those that prefer to listen in 320kps. You can listen to ALL previous episodes of our radio show by clicking here.